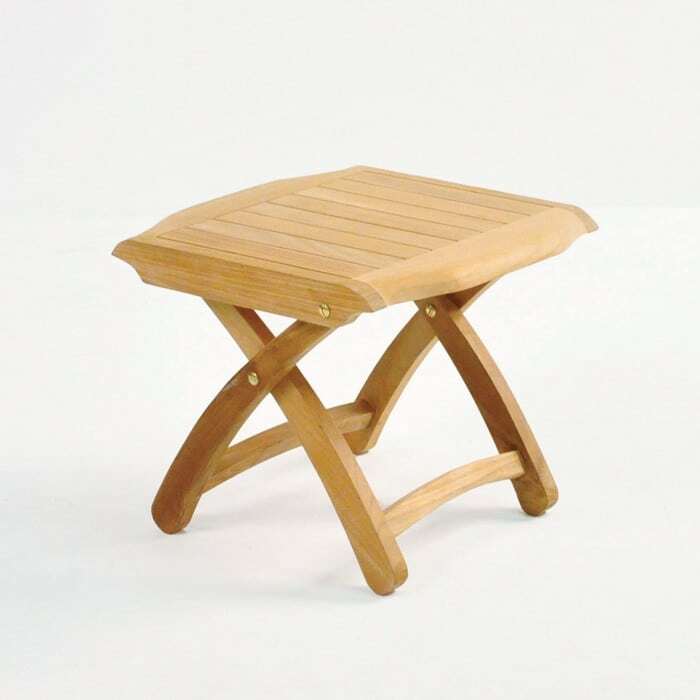 Whether you need a pleasant footstool or a charming side table, the Welsh A-Grade Teak Footstool is an excellent choice for helping your space become an even more comfortable relaxing area! A lovely curved square makes up the tabletop of this glamorous piece. A delightful frame is filled with tightly placed slats of A-Grade Teak and the base a folding cross of teak bolted with charming brass nuts and bolts! A-Grade Teak is one of our premier products on hand at Teak Warehouse, it can be seen in every style of furniture we carry because of the durability, longevity and beauty of the wood. You just have to read some of our reviews to see how much this wood is celebrated! W17" x D18" x H15"
The wood is given the ‘A’ grade if it is the premium Heart Wood with the best strength and grain and is blemish free. This strength means that the wood is extra resistant to the elements and it is incredibly easy to maintain. Whether you let it patina off (to a beautiful silvery-gray color) or have it sealed to hold onto the honey color, all you need to do is wash it three or four times a year to keep up good appearances! Look at our product care page for more information. Brass fittings make up the look of the Welsh A-Grade Teak Footstool and is a classic choice for outdoor furniture. Brass needs to be cleaned to avoid any tea staining – but it is not something that has to be done constantly. Once a year will suffice in most cases. The Welsh A-Grade Teak Footstool is just one of our many fabulous options from Teak Warehouse. We are proud to bring many items in A-Grade Teak, as well as new materials that will leave your jaw dropped! Our contemporary range includes incredible Raw Concrete, #316 Stainless Steel, Aluminum, Batyline® and Textilene® mesh, Reclaimed Teak, three kinds of All Weather Wicker – you will love the range of product – all at wholesale prices! 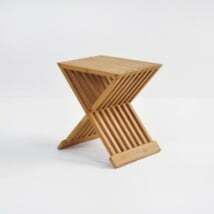 Purchase the Welsh A-Grade Teak Footstool for use on your boat or yacht, an excellent hide-away piece when you need to! This gorgeous Welsh A-Grade Teak Footstool is an amazing addition to our A-Grade Teak Deep Seating, use all three ways to take advantage of your space. We also recommend the Welsh A-Grade Teak Footstool for use indoors – image it nestled alongside your sofa or lazyboy! Perfect for storing a small plate of food and your favorite drink. The elegance of the piece lends it to many spaces and many tastes. 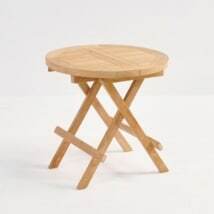 Enjoy the gorgeousness of this durable table. 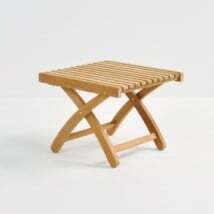 Versatility surrounds this Welsh A-Grade Teak Footstool – also for use as surface area and seating. 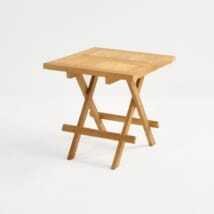 It is made of A-grade teak and solid brass hardware, it weathers beautifully! The Welsh A-Grade Teak Footstool is in stock and available for pick up or delivery today!